Grace Episcopal Church invites everyone to worship with us. Worship is the heart of our church. Our Anglican liturgical tradition emphasizes common prayer (The Book of Common Prayer) and music (1982 Hymnal). The word liturgy means the church’s public worship of God. The term is derived from the Greek words for “people” and “work.” The church’s public worship of God is the work of the Christian people. All baptized Christians are welcome to receive communion in the Episcopal Church. 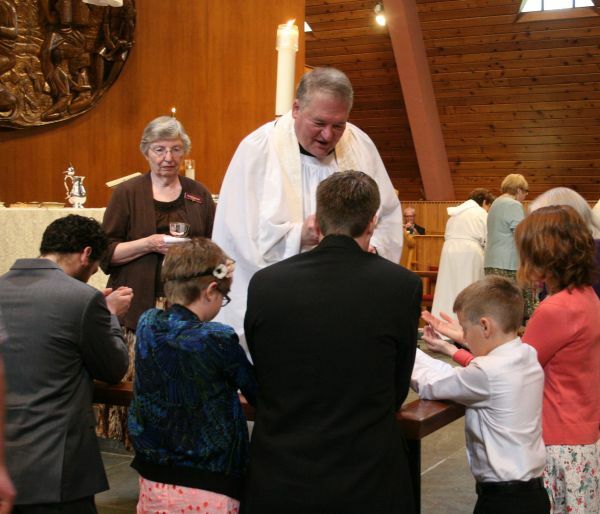 If you do not wish to receive communion, we encourage you to come to the altar rail for a blessing. Click the Preparing for Sunday icon for this week's Lectionary.